This entry was posted in Star Trek: The Next Generation, Television and tagged Captain Picard, Commander Data, Guinan, personhood, philosophy of mind, Star Trek, Star Trek: The Next Generation, Star Trek: TNG, The Dauphin, The Measure of a Man, William Riker. The Measure of a Man is one of my favorite TNG episodes other than Best of Both Worlds. 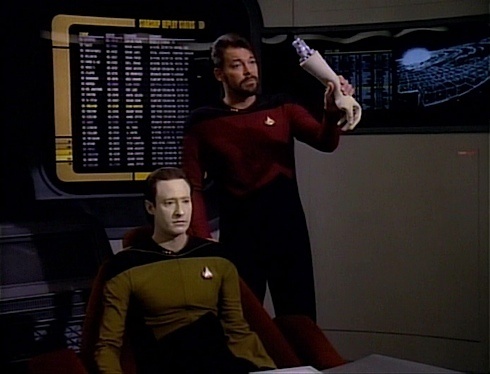 Great Data and Riker episode. Yes, also a good one! There are a lot of good episodes Season 2, but I remember Season 3 being even better. Almost there!